If you are using a picture book as a related text some of the following resources may be of use. Here you can read about specific concepts to help read (and write about) visual images, including mood, perspective, colour, lighting, and more. Based on the work of Kress and van Leeuwen. The author is highly qualified to advise on this subject as an award winning author of many picture books. In this book Gleeson takes us through the process of writing and illustrating a picture book using many examples, and illuminating comments from a range of experienced writers and illustrators. This site is very valuable for developing a vocabulary to use when discussing picture books. 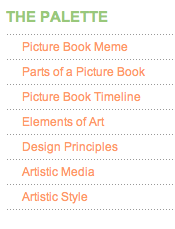 Go to the sidebar on the left and down to THE PALETTE for a quick visual guide to many elements of the picture book. 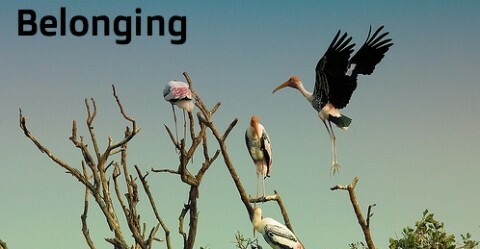 “Picture Book Meme“ brings these all together in a hierarchical word cloud, and there is also a glossary (under resources) which lists them all again with definitions. Julie Bain’s Webquest Viewing The Viewer: Postmodern Picture Books has a wealth of resources for studying any picture book as well as specifically for the postmodern. From the sidebar choose Key Terms, Visual literacy Scaffold and PoMo I.D. Scaffold, amongst others. You will find some excellent tools for writing about picture books. Although this webquest is written for a postmodern book, The Viewer by Gary Crew, it introduces technical information which you can relate to any picture book. Author and illustrator consciously employ a range of devices that are designed to interrupt reader expectation and produce multiple meanings and readings of the book. These books also challenge the traditional audience of picture books. Traditionally the picture book has been seen as the province of the young, inexperienced reader. However, the postmodern picture book appeals to a much wider age span, level of sophistication, and range of reading abilities.